I hate LinkedIn . I open it out of habit and accept everyone who adds me because I don’t know why I wouldn’t. There is no clear benefit to the social network. I’ve never met a recruiter on there. I’ve never gotten a job. The only messages I get are spam from offshore dev teams and crypto announcements. It’s like Facebook without the benefit of maybe seeing a picture of someone’s award-winning chili or dog. I don’t know this for sure but I think that somewhere out there is a self-help book about networking that tells introverted desk jockeys to fill their conversations with canned junk. Gail, above, seems nice enough and he’s been doing a really nice job keeping up with all of my anniversaries. But why? What did it get him? Maybe I’ll meet him at a conference and he’ll be able to use it as a point of connection. That might be cool, but I doubt it will happen. I know people have used LinkedIn to find jobs. I never have. I know people use LinkedIn to sell products. It’s never worked for me. Guys like my buddy Lewis Howes have used it to create mass followings but now Lewis is mostly showing up on Facebook and not LinkedIn. In short, I know people like LinkedIn. I think it’s hot vomit in a paper bag. That’s the best exchange I’ve had on LinkedIn in years. I mean the very best. It’s one that I replied to kindly and with interest. Why? Because I wasn’t someone’s cheery spam message. It was a question that I could help with. That’s it. It’s an actual conversation. Someone says “Hey, I need help” and the response is a quick “What’s up?” Someone on Twitter said that this exchange stroked my ego. Sure. Why not. But it was also the most human interaction I’ve had on LinkedIn in years. 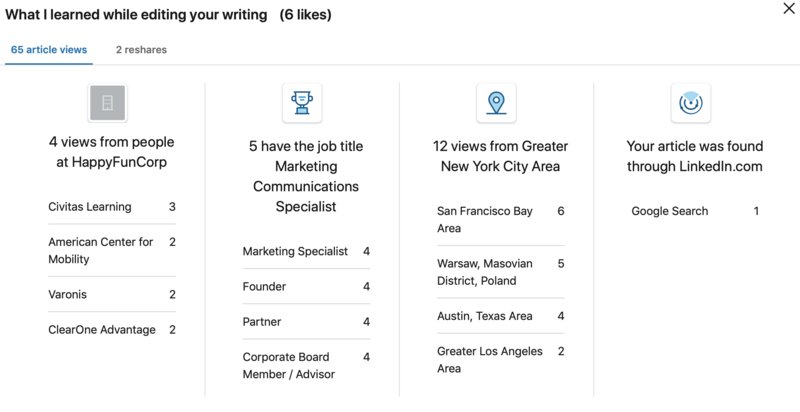 Rather than get into that, however, I’d like to explain how to pitch someone like me — a busy journalist and entrepreneur who treats LinkedIn like a whack-a-mole weekly chore that has become more a bad habit than necessity. As I’ve said before and will say forever: selling and PR and gathering customers is about being a human. Want to approach me on Twitter? You say “Hey, I have a question,” you ask it when prompted, and you wait for a response. Sometimes it never comes. You move on. A lot of folks have said they prefer a full chunk of text when the get spammed on services but I disagree. I get enough of that in email. I get enough of that everywhere else online. If you’re going to network with me (or anyone else who is equally cranky) you’re going to have to try something different. You’re going to have to try to be human. So next time you’re encouraged to Control-V in some copypasta about your business, don’t. Next time you think it might be a good idea to say “Congragulations on fifteen years at Scrablr!” maybe take another tack. LinkedIn isn’t a game. It isn’t an alternative to MailChimp. It’s a conversational tool. Use it that way.